TV. It's made us laugh, it's made us cry, now it just makes us SMS. After growing up with TV, studying it at university and working behind the scenes, multi-award winner Gavin Baskerville reveals the truth behind the plywood sets of network television. This is the ultimate TV reality show. the help of his interactive offsider “Stevie the TV”. 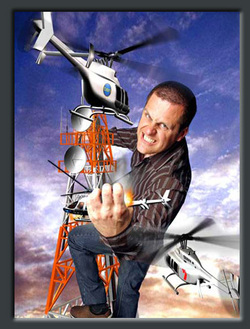 As Seen On TV is a recipient of the 2005 Brian McCarthy Memorial Moosehead Award and is Gavin’s fourth MICF show.